Twenty minutes. That’s the average length of time that a doctor spends with a patient. Squeezing in a medical history, a physical exam and diagnosis, plus explanations for medications, can be a challenge. Many physicians struggle to treat their patients while adhering to their very tight schedules. What happens when there’s a huge disconnect in this very intimate relationship? Danielle Ofri deals with these issues every day. For more than 20 years, she has treated patients at Bellevue Hospital, the largest public hospital in the U.S. She’s also an associate professor at the New York School of Medicine, and a prolific writer whose work exploring the doctor-patient relationship has appeared in the New York Times, the Washington Post, the New England Journal of Medicine, and on National Public Radio. 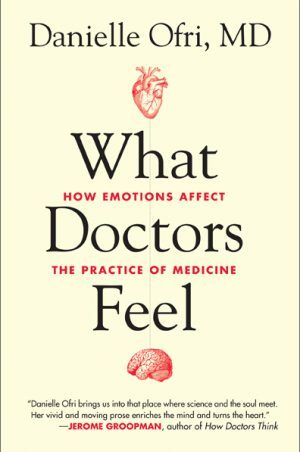 In her recently published fifth book, What Patients Say; What Doctors Hear, Ofri argues that while modern medicine touts high-tech tools and techniques, the single most powerful diagnostic tool continues to be the doctor-patient conversation. As a practicing physician, though, Ofri was well aware that patients and their doctors often aren’t listening to each other. Nervous about their health, patients may ramble, while time-strapped physicians might hurry through the appointment, increasing the risk of misdiagnosis or medical error. Ofri suggests patients prioritize their most important questions in advance, and doctors resist the urge to interrupt or multi-task during appointments. Ofri cites an NYU study in her book revealing that when doctors dominate conversations, the risk of patients not taking their medications is three-fold higher. Patients who don’t feel ‘heard’ are also more likely to sue for malpractice, she notes. To that end, Ofri is pleased that many medical schools are finally realizing that training doctors to listen to their patients must be an ongoing process. “As doctors, we jump to speak so quickly; If we stopped and listened I think we’d realize that often our first assumptions are not correct,” she says. 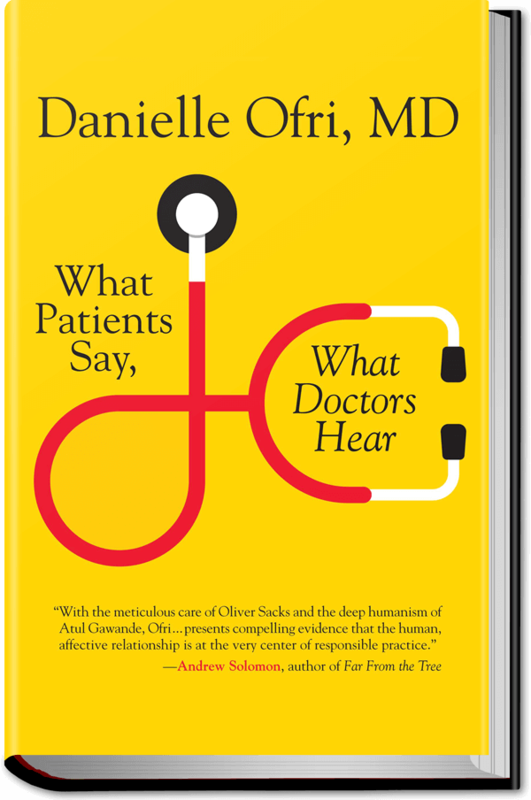 In her book, she mentions McGill associate professor of medicine Donald Boudreau’s pioneering course on attentive listening as a step in the right direction. A native New Yorker, Ofri has warm memories of her time at McGill. Wisse is now a professor at Harvard, but her influence on Ofri remains intact. After completing her medical training, Ofri signed up with a physician’s staffing agency where she worked in clinics across the U.S. and travelled between gigs. During those 18 months of seeing patients and seeing the world, Ofri began chronicling her experiences in medicine. She eventually co-founded the Bellevue Literary Review, a unique literary journal that focuses on issues of health and illness (she continues to serve as its editor-in-chief) and has now published five books that examined various aspects of medicine. “It’s so nice to not worry about someone’s aortic stenosis, and worry about their stanza formation instead,” she says of her literary pursuits, but she insists that her first calling will always be medicine.